If you like Lesha Vega(on TM Radio for over 11.6 years), please, consider telling your friends. Lesha began his career in 2001, in Siberia (Russia), when he was organizing parties with his friends in a club in his native city. In 2001 he moved to St. Petersburg and met DJ Feel, who hosted a "Transmission" radio show on Radio Record. Lesha became residen't of Feel's parties which were held for 3 years and was nominated as the best resident of these parties after a voting on the forum of this radioshow. 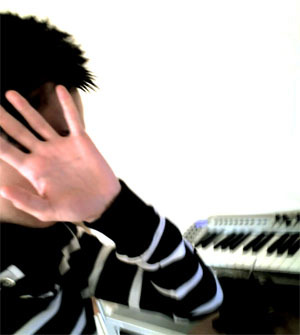 In the beginning of 2007 he got offer to be a resident of monthly progressive trance parties in the legendary and the first techno club Tunnel (St.Petersburg). "Zero Gravity" track appeared in 2006 and got support from many russian and foreign djs, later in 2007 it was reworked together with Chance Jumpers and signed to be released in 2008. Nowadays Lesha is playing in many clubs and parties in St-Petersburg and other russian cities as well as working on his own tracks. He also hosts a few radio shows, among which there are Perfect Waves and Carica Nights - a new brand 3 hours radio show co-hosted with Python, presenting tracks from russian producers He is one of the brilliant figure on russian progressive scene. No preset schedule (taking a break). Show first aired on September 8th, 2007 and new episodes were coming out until April 26th, 2008. A total of 15 episodes of Perfect Waves has aired on TM Radio. No preset schedule (taking a break). Show first aired on April 17th, 2008 and new episodes were coming out until July 27th, 2010. A total of 17 episodes of Carica Nights has aired on TM Radio.